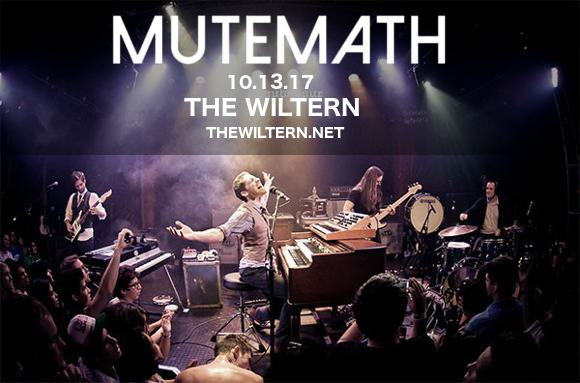 The Wiltern brings another exciting show for you to get your hands on – the alternative rock band Mutemath!!! Right here, right now… If you’re a fan, then be sure to head on down on Friday 13th October 2017 for a night you won’t soon forget! Tickets are available now – hit the button above to get yours. Formed of multi-instrumentalists and vocalists Paul Meany, Todd Gummerman, and Jonathan Allen, Mutemath’s style is diverse. Using a range of electronic instruments from Rhodes keyboards, synthesisers and keytars, they incorporate elements of electronica, 60s and 70s soul, and psychedelic rock into their delicious blend of sound. The band are now on tour with their fifth studio album “Play Dead”, their first since 2015’s “Vitals”! Fans are super excited for the new release, and so are we!! Be among the first to hear all the new songs live – book your tickets now! !